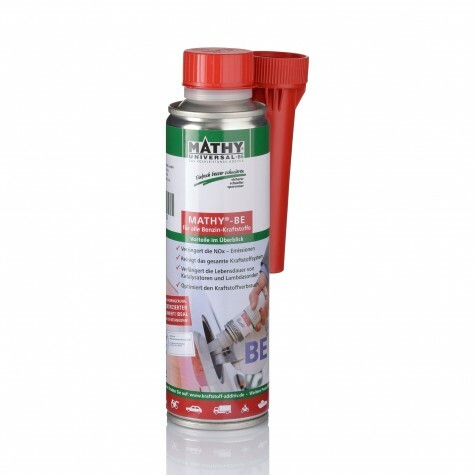 Through loosening contaminants MATHY-F provides secure locking and proper opening for injection nozzles. It cleans valves and combustion chamber for an optimal air / fuel mixture. 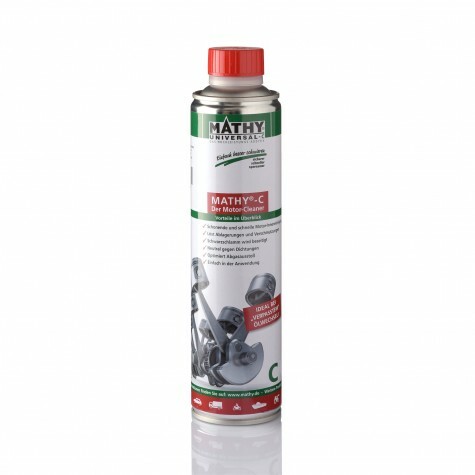 In addition the improved lubrication reduces hard valve hammering. MATHY-F is designed for diesel and gasoline engines. 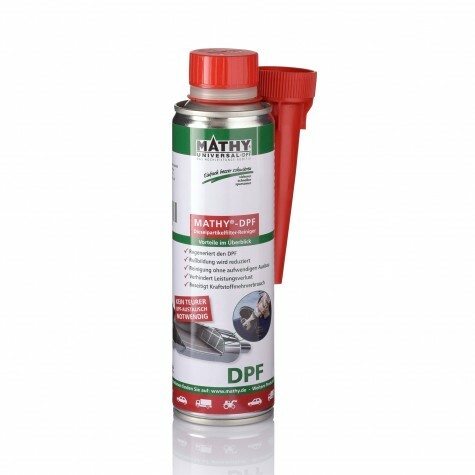 Ideal for customers whose fleet includes both engine types and want to use only one single fuel additive. In order to keep an intact fuel system continuously clean, and to protect it from the usual wear, it is sufficient to add MATHY-F in the dosage of 1:1000 with every third tank filling. E.g. 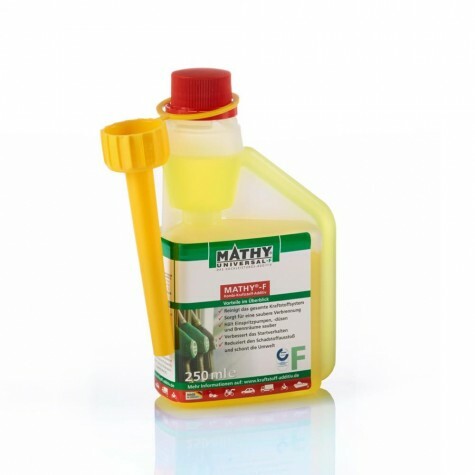 add 50 ml MATHY-F to 50 l of petrol or diesel fuel. 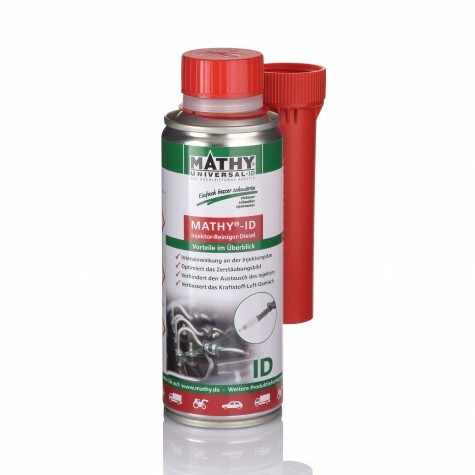 Trouble shooting in fuel and injection systemIf you encounter problems or difficult conditions, we recommend a ratio of 1:1000. 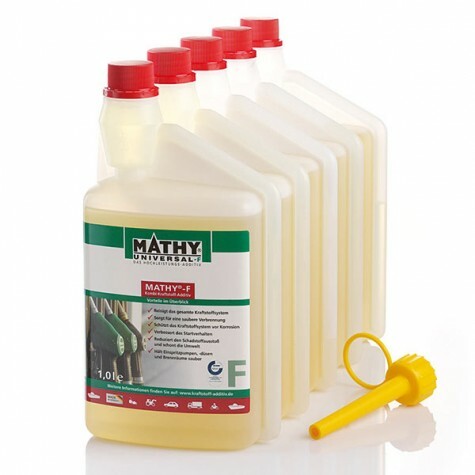 On this occasion use MATHY-F with each tank filling. 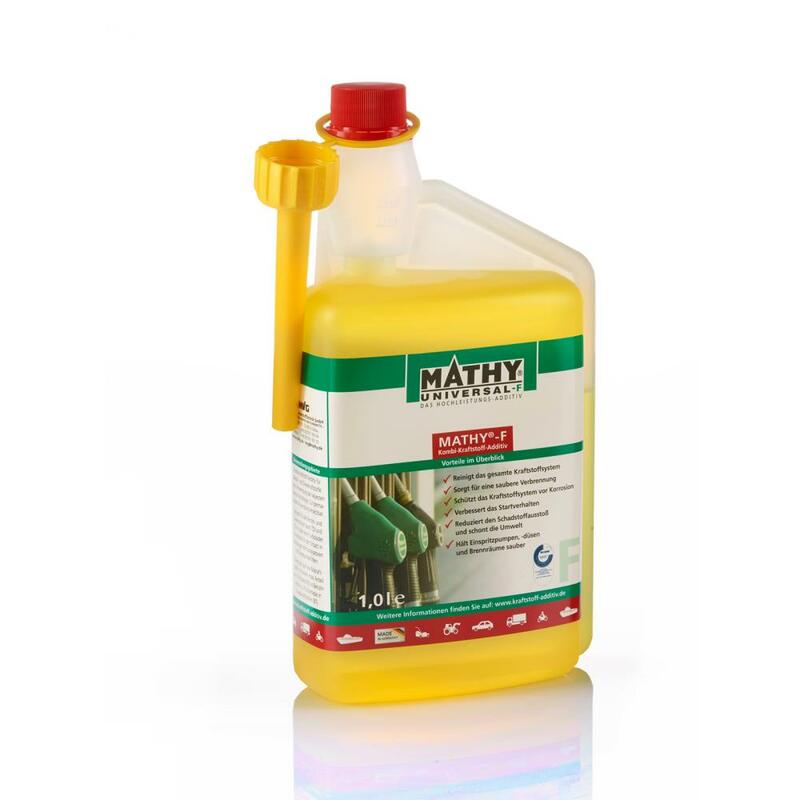 Add MATHY-F fuel additive in the dosage 1:1000 to the tank before refuelling.